Finlay Ford in Naas, is the home of Ford in Co. Kildare. Located in the M7 Motor Park in Naas. 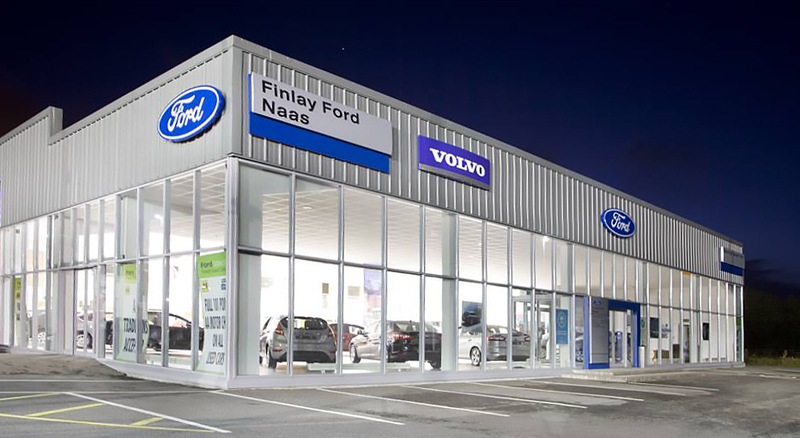 Finlay Ford is a prime location for all parts of Leinster and is less than 30km from Red Cow in Dublin. Finlay Ford stock the exciting range of Ford cars and Ford commercial including the Focus, C-MAX, Mondeo, S-MAX, Kuga, Galaxy and also the incredible new All-New Fiesta. The Ford commercial range includes the Transit Connect, Transit, All-New Transit Custom and Ranger. Check out all of our Ford vehicle range. We have a fully equipped Aftersales department using the latest Ford diagnostic equipment and genuine Ford parts to service and help maintain your car. Being in the business for 80 years we want you to know that our focus is on customer care and when you buy from us it is with the comfort of knowing that we are here to service and look after your vehicle until it’s time for you to buy again.